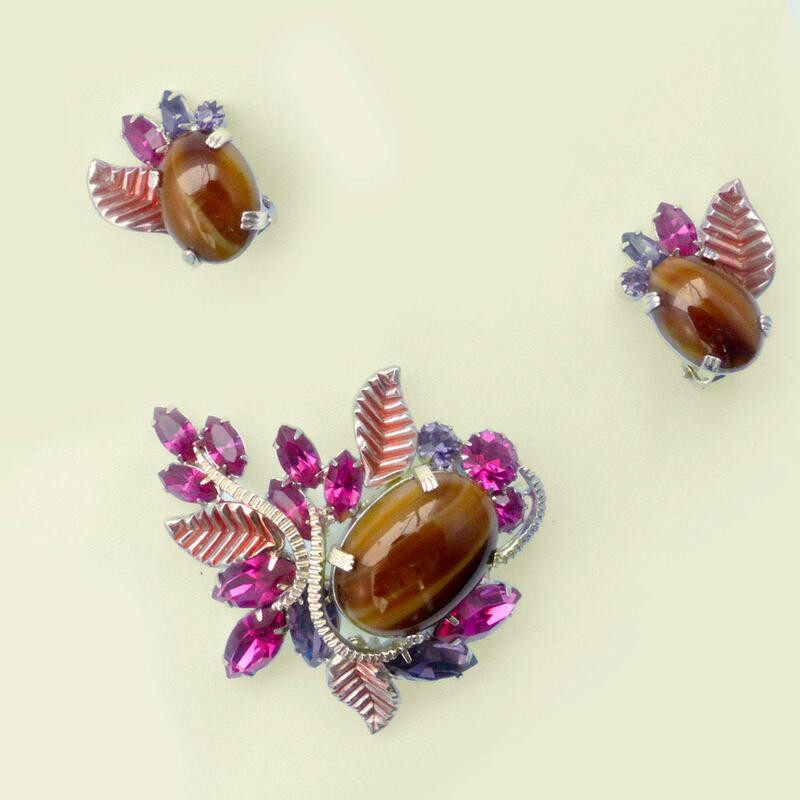 A dramatic and gorgeous set, with mock tiger eye, pink and purple stones in a very charming enamelled leaf setting. Who knew pink could be so rich and so earthy? The entire set is in mint condition, the brooch is clearly signed. Continental is Canadian manufacturer who produced very high quality jewellery for leading department stores, but is less well known today. 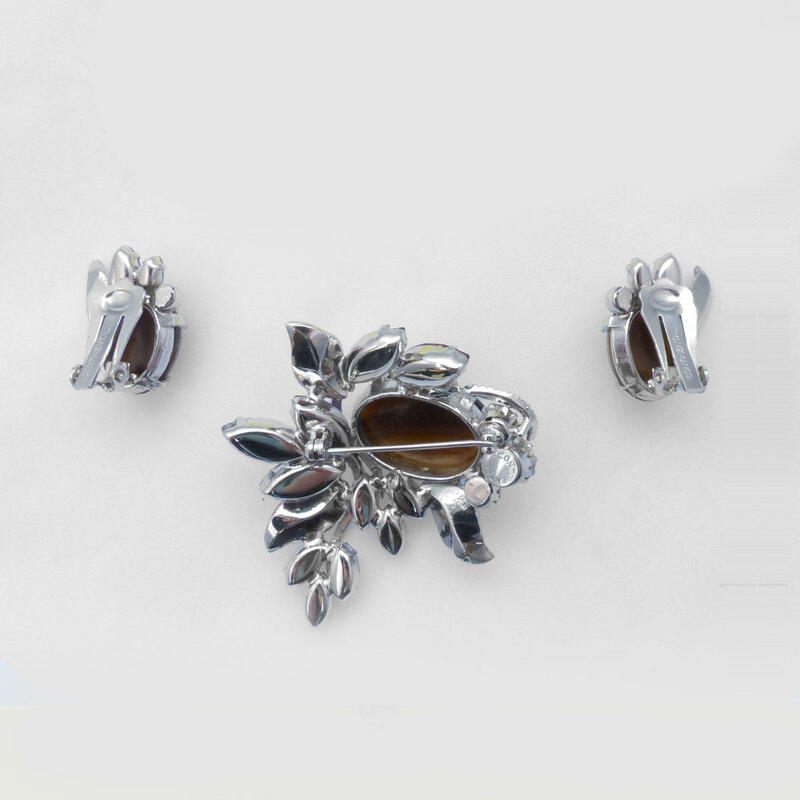 The brooch is 6cm, earrings 3cm. Late 1950's.